We LOVE our baby onesies . . . so cute, so tiny, so perfect for sweet Tulip® Baby Couture™ Iron-On Transfer™ designs. What mama wouldn't love a basket filled with decorated onesies for every day of the week?! 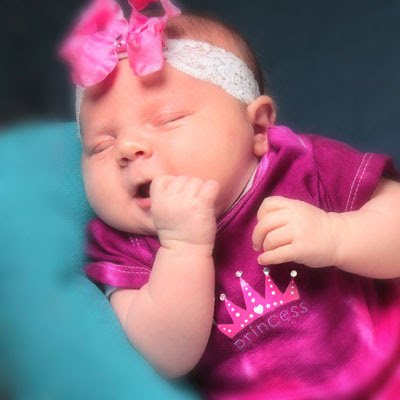 We're launching our Oh, Baby Onesie Decorating Contest from now until June 15th. Choose your favorite Tulip® Baby Couture™ and Tulip® Fashion Art products to transform plain and practical onesies to Baby Couture! The winner will receive $30 worth of Tulip® Fashion Art products. And check these SUPER SPECIALS to get you started! – Dye your onesie with Tulip® One-Step Fashion Dyes™. – Add amazing details and brushwork detail with Tulip® Soft Fabric Paint™. – Add dimension with Tulip® 3D Fashion Paint. – Stencil on your look with one of our many Tulip® stencils! – Check out our Tulip® product page for more great projects to get inspired by! To enter, join our www.ilovetocreate.com community and add your pic to the online gallery or add it to the facebook fan gallery instead. The best determined winning entrant will be chosen from all the entries. Oh and for additional inspiration, check out Jennifer Perkin's blog on How to Throw a Onesie Making Party! Lots of great ideas!! I guess I can't enter :) Love the little princess onesie super duper cute. Tallulah wore a onesie painted to the high heavens with Tulip paint just yesterday.